ST. PAUL, Minnesota, January 5, 2011 (ENS) – Water sustainability is one of the first items of business in Minnesota’s new legislative session as the state that calls itself Land of 10,000 Lakes decides how to spend the estimated $86 million a year dedicated for the protection of water under a 2007 law. The nation’s first long-term framework for statewide water sustainability was presented to the Minnesota House of Representatives’ Environment, Energy and Natural Resources Policy and Finance Committee today in St. Paul. The Minnesota Water Sustainability Framework, commissioned by the 2009 Minnesota Legislature, recommends a mandatory statewide plan to decrease nutrient runoff from agricultural sources, an overhaul of the state’s water permitting process, and the restructuring of municipal water pricing. Authored by the University of Minnesota’s Water Resources Center, the framework is intended as a legislative roadmap with timelines and benchmarks for future investments in water resources, including the $86 million a year set aside for the protection of water as a result of Minnesota’s 2007 Clean Water, Land and Legacy Act. 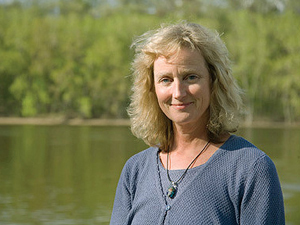 “The Minnesota Water Sustainability Framework offers Minnesotans a chance to lead the nation in long-term, forward-thinking management of our water resources,” said Deborah Swackhamer, a professor of environmental chemistry in the University of Minnesota’s School of Public Health and co-director of the Water Resources Center, who coordinated the report. The 150-page report is the result of more than 18 months of cross-organizational, interdisciplinary input from more than 250 experts from federal, state, local and tribal governments, industry, agricultural interests, universities and environmental agencies. The report also includes feedback from more than 5,000 taxpayers who participated in an online survey and statewide listening sessions held in January and February of 2010. The restructuring of municipal water pricing to more accurately reflect the ecological, as well as infrastructure, costs of water use. The Legislature is expected to vote on some of the report’s recommendations in this legislative session.